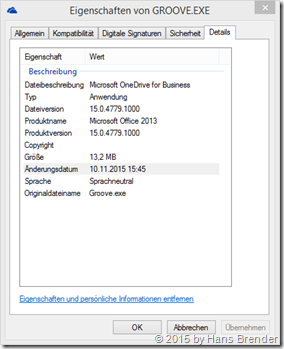 Microsoft has released in December 4 Updates for OneDrive for Business. In some cases, a random number of files are deleted from SharePoint document library during synchronization. When you synchronize files by using Microsoft OneDrive, the Access Denied error occurs because of invalid authorization headers. Open an Office 2013 application, such as Microsoft Word 2013. For Office 2013 Click-to-Run installations, an Update Options item is displayed. For MSI-based installations, the Update Options item isn’t displayed.